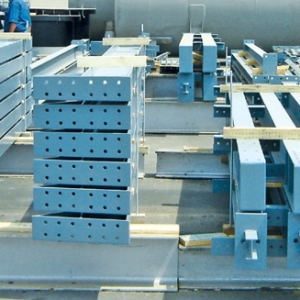 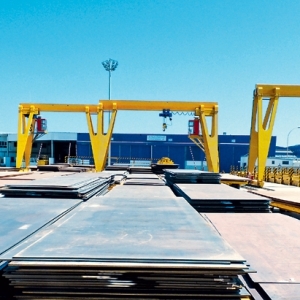 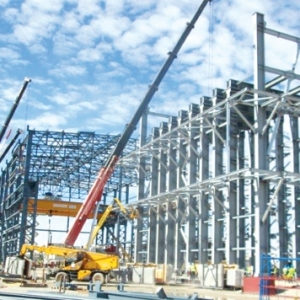 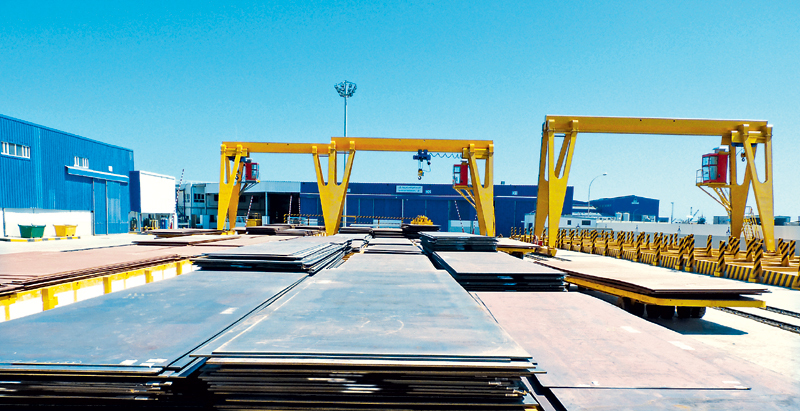 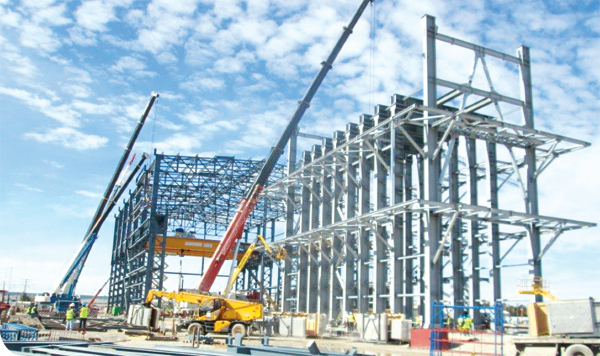 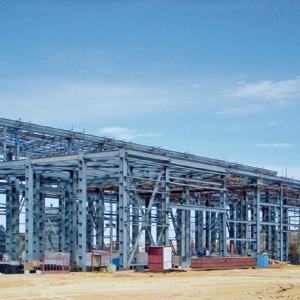 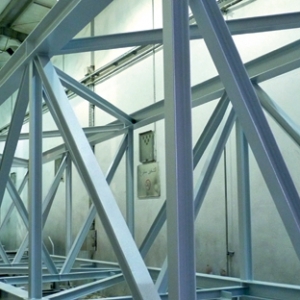 SOCOMENIN is one of the leading steel equipment manufacturing companies in North Africa. 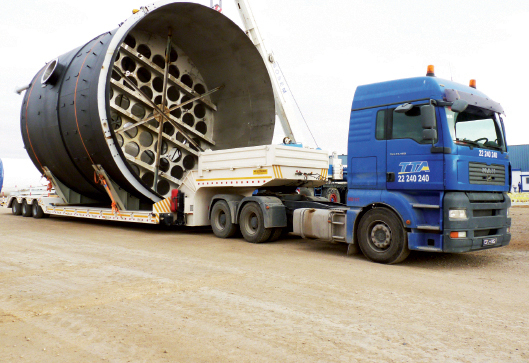 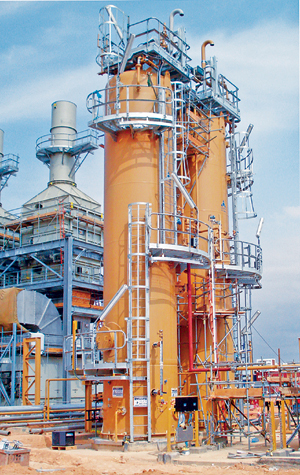 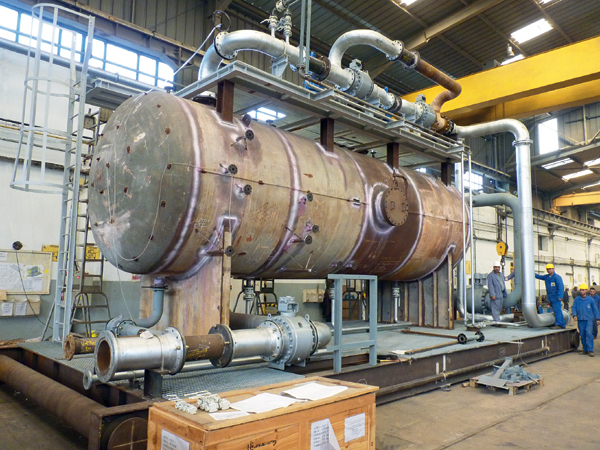 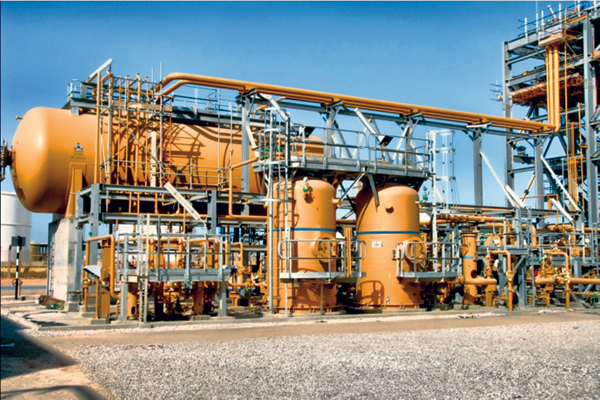 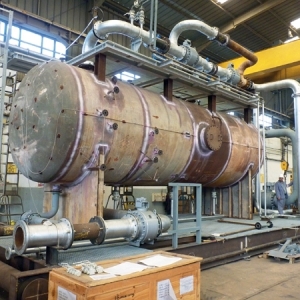 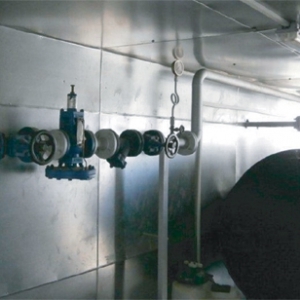 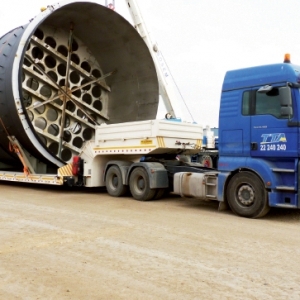 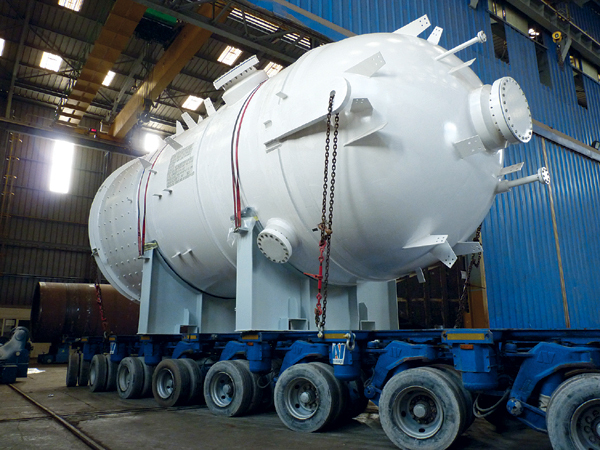 - Pressure vessels: Columns, Separators…. 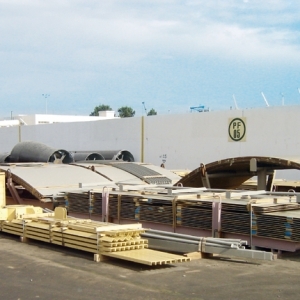 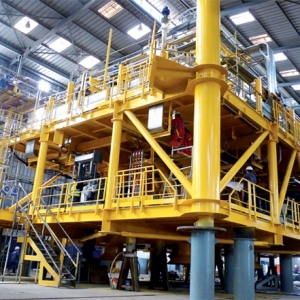 SOCOMENIN has developed its work plants capacities in order to meet its customers’ requirements. 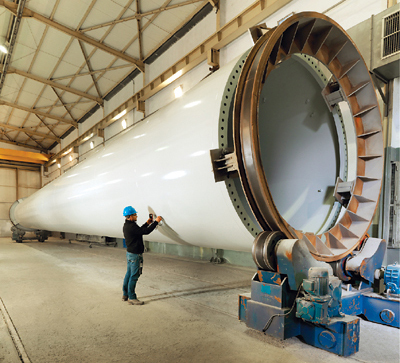 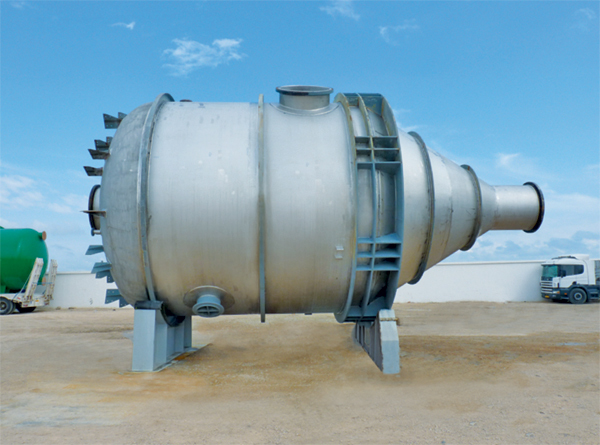 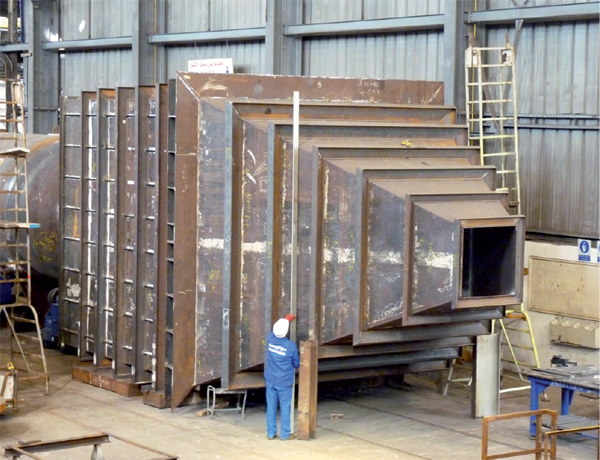 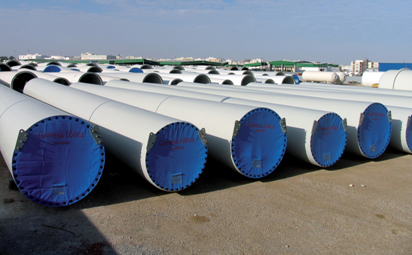 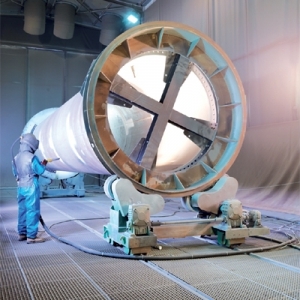 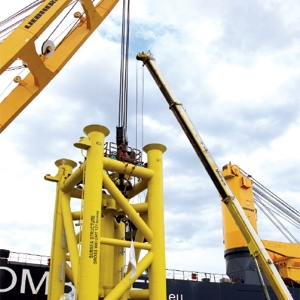 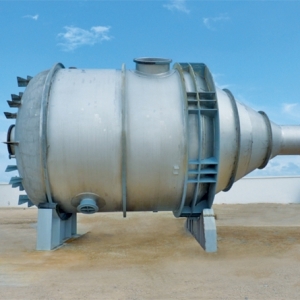 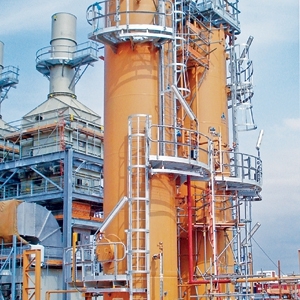 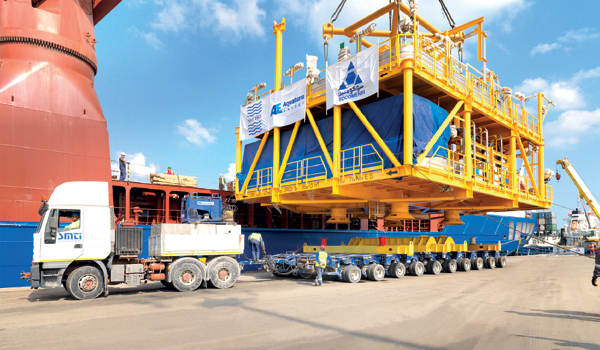 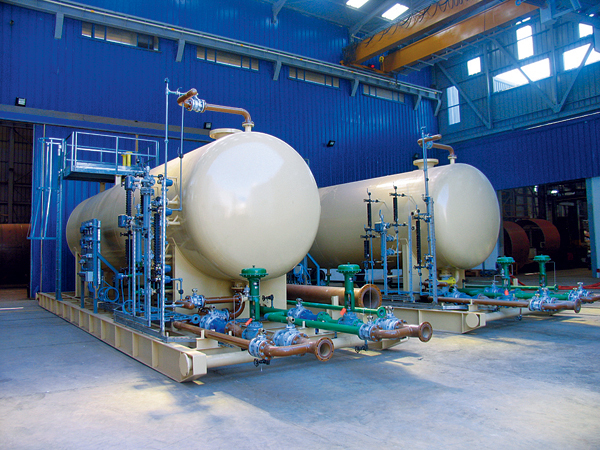 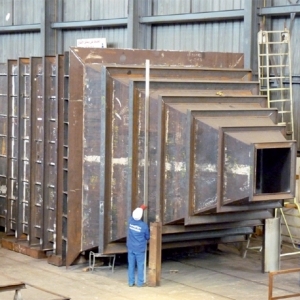 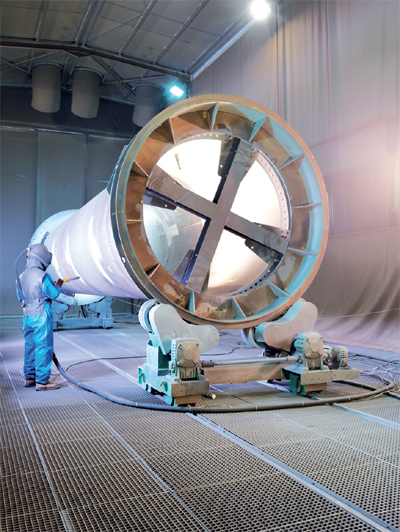 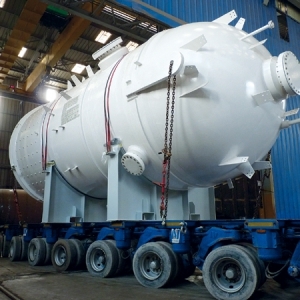 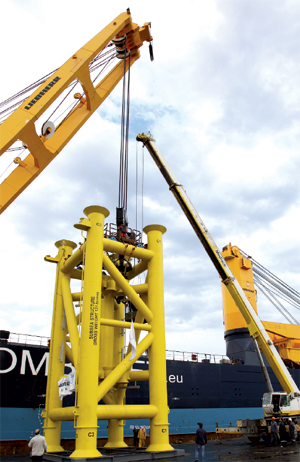 SOCOMENIN manufactures a wide range of pressure vessels, each built to fulﬁll code and client speciﬁc requirements for both onshore and offshore exploitation. 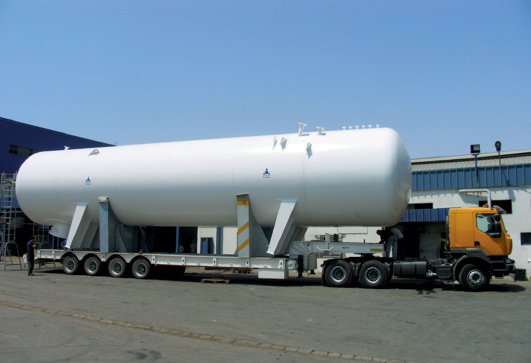 The above mentioned products can be supplied with U, U2, S and R as applicable or marked CE to meet PED requirements. 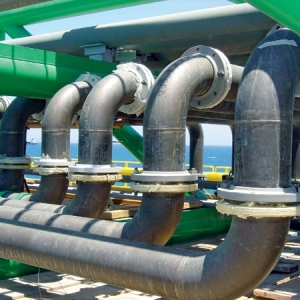 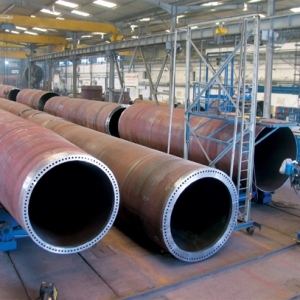 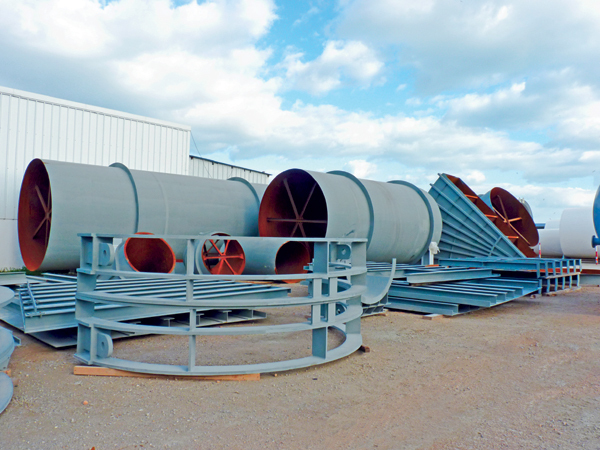 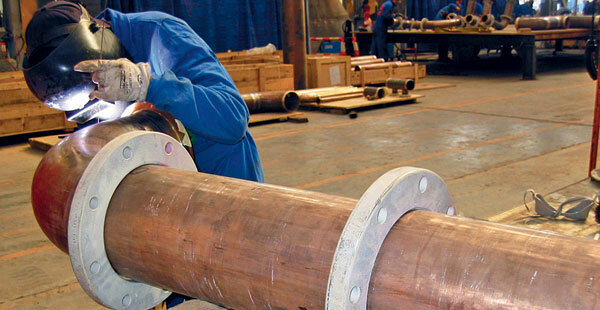 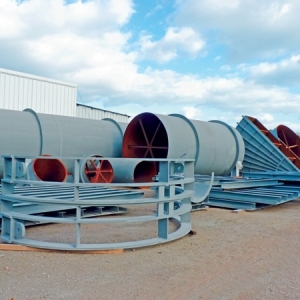 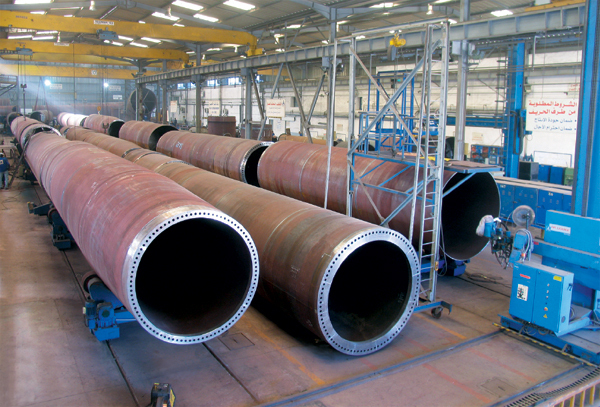 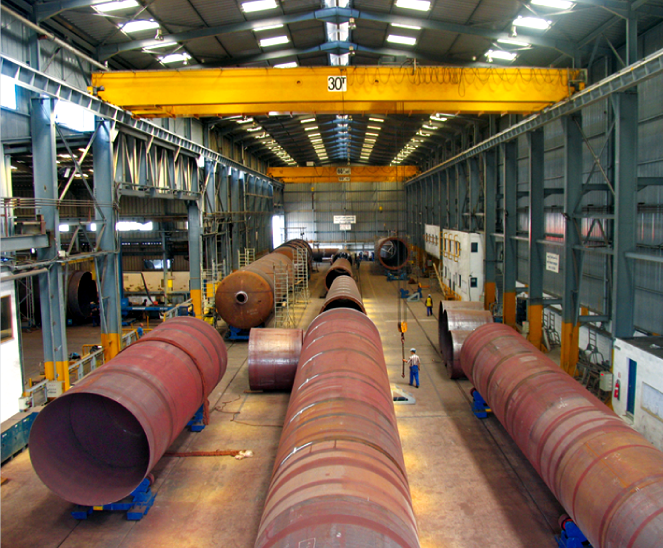 SOCOMENIN has a highly experienced team of pipeﬁtters and qualiﬁed welders, which allows SOCOMENIN to offer a high quality pipework prefabrication services. 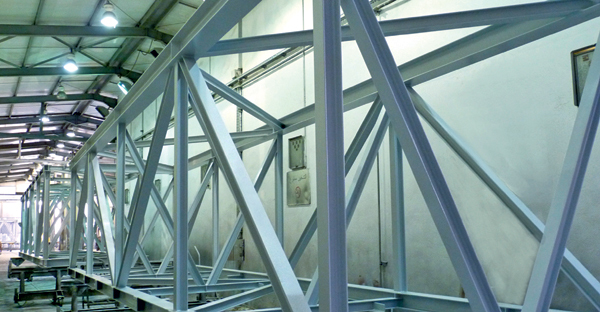 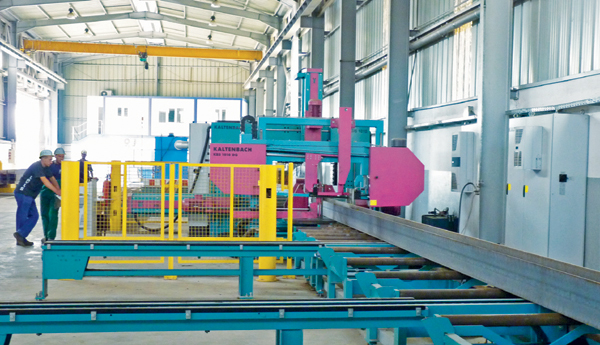 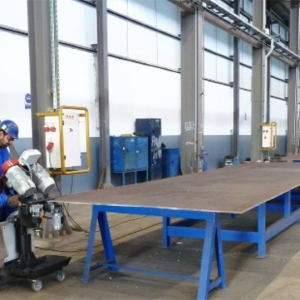 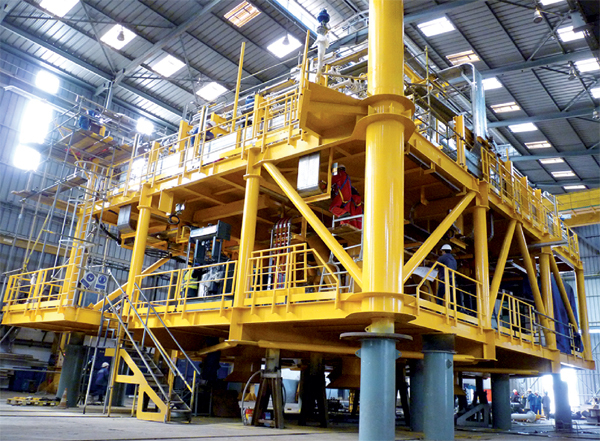 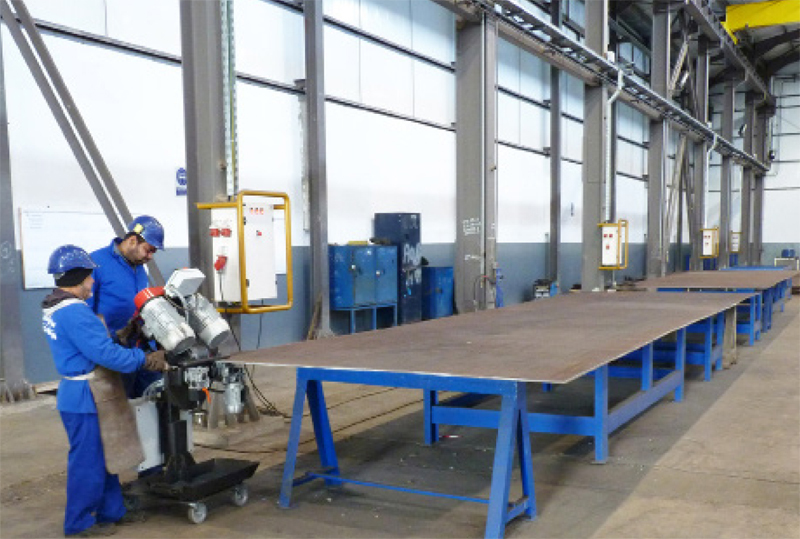 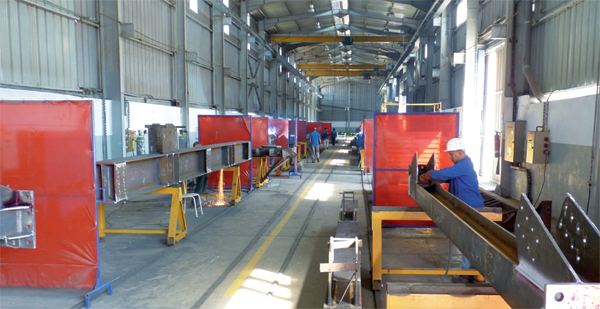 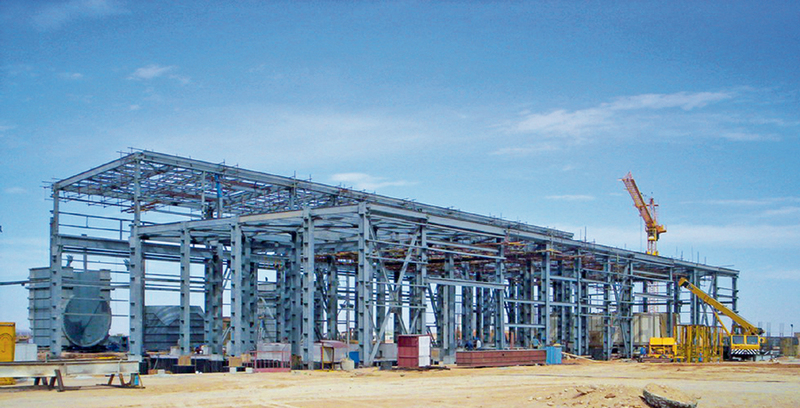 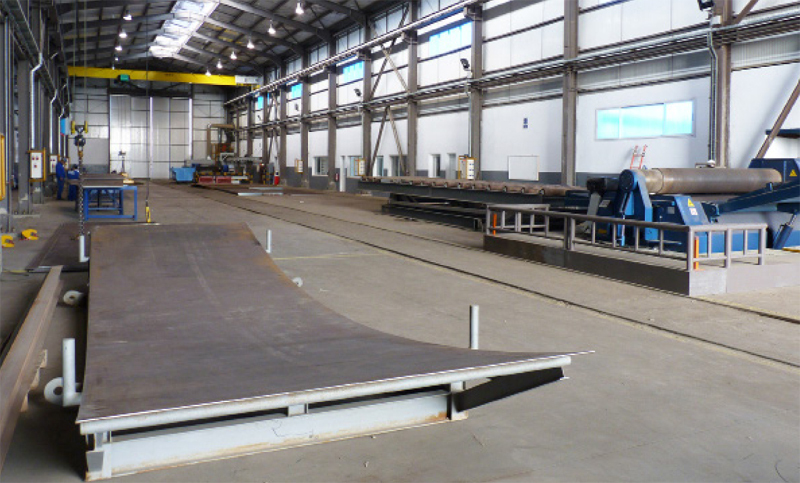 SOCOMENIN Structural steelwork plant is equipped with CNC drilling, cutting and marking unit with a capacity Up to 1 OOOmm in width and with a total capa­ city of production up to 8000T I Year. 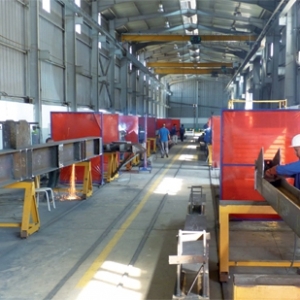 In order to keep-up to date with the new technologies, and to improve its products quality, SOCOMENIN Company has established three new blasting shops using metallic girt with 300 000 m²/year capacity. 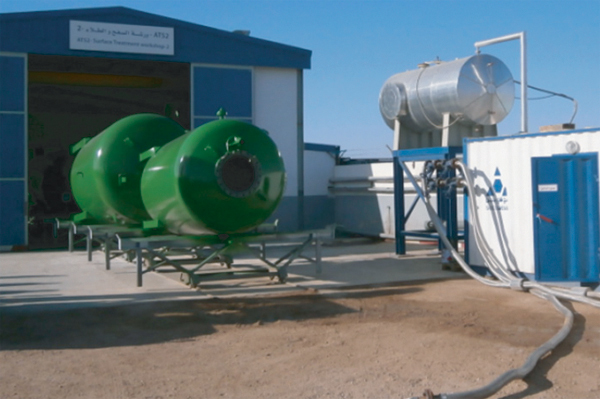 The three blasting shops are built according to international standard speciﬁcations for on-shore and off-shore use, and respecting the speciﬁc conditions of both humidity which could be controlled and salinity that could be ﬁxed down to 3µg/cm². 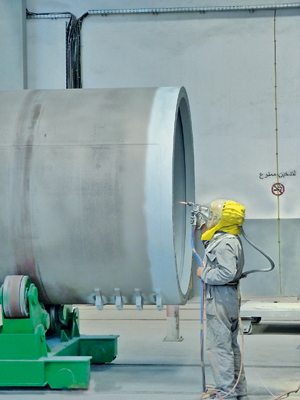 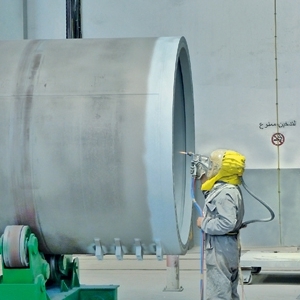 The painting activity is done in 6 conditioned buildings according to the international standards and paint manufacturer’s specifi- cations for onshore and offshore use. 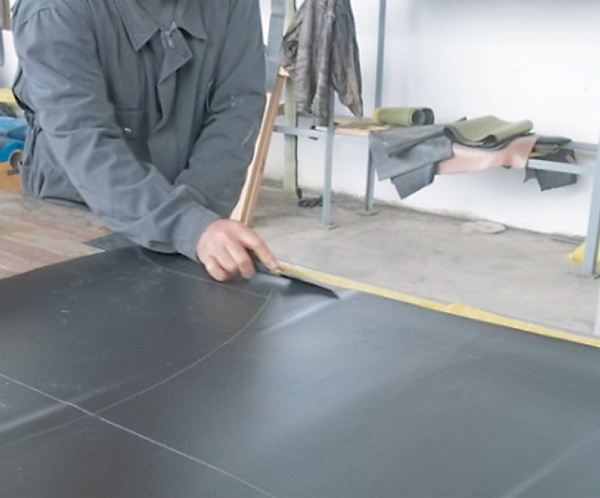 Speciﬁc conditions, such as humidity and temperature are closely controlled. 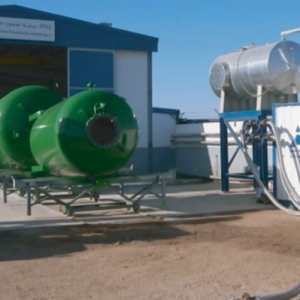 These buildings are equipped with air heater generators used in the winter. 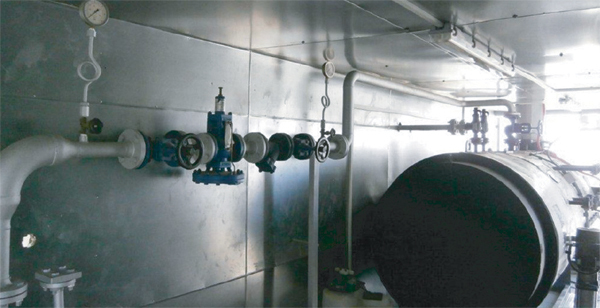 SOCOMENIN have successfully protected such equipment by rubber lining as Filters for water treatment unit, chemical processing and storage tank. 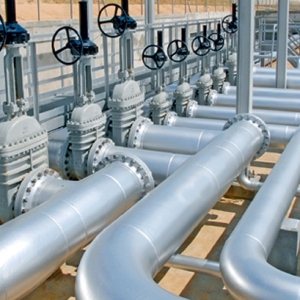 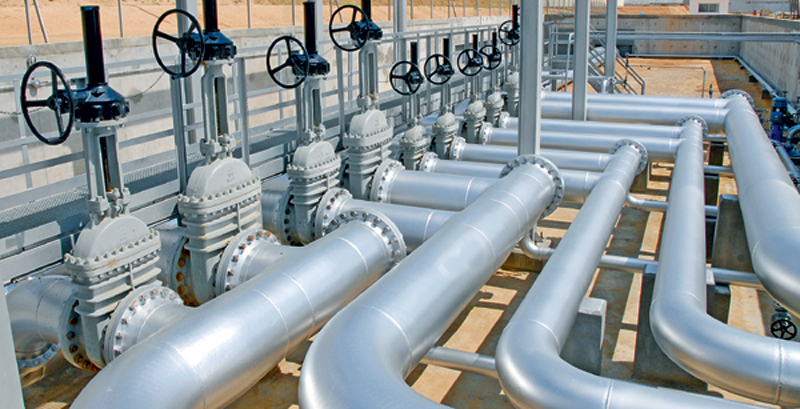 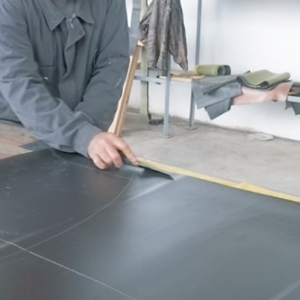 Rubber lining is used to protect metal surfaces from corrosion ﬂuid. 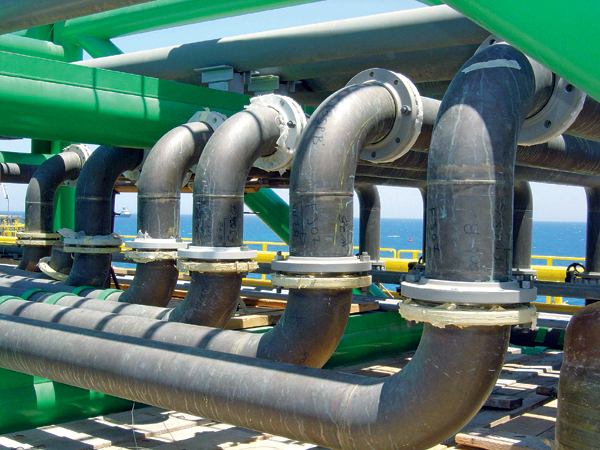 Like in piping handling Sea Water or chemical product. 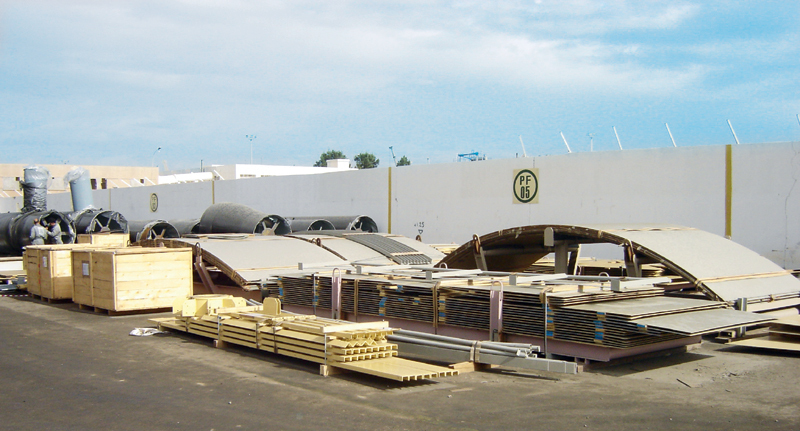 From the raw material arrival to the delivery of ﬁnished product, SOCOMENIN ensures the required logistical operations. 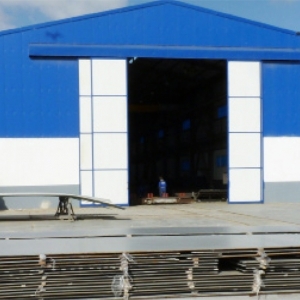 With more than 10 000 m² of raw material storage area equipped with 03 gantries cranes and with more than 45 000 m² of ﬁnished product storage area located close to the SFAX harbor. 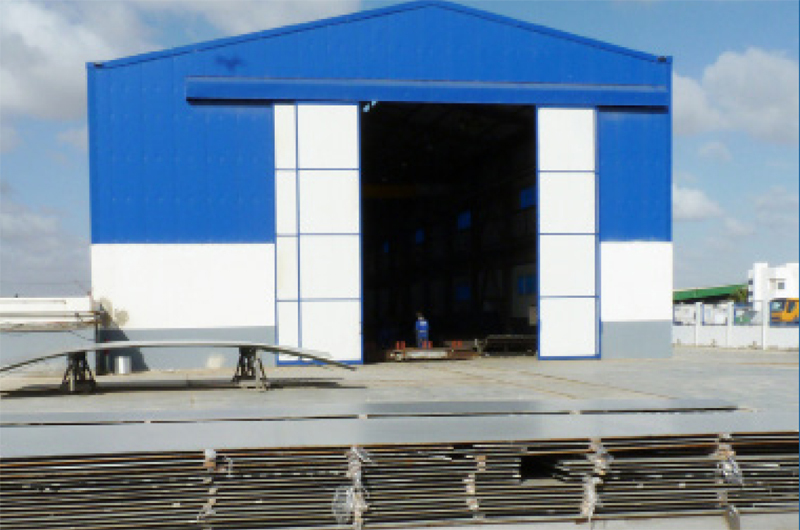 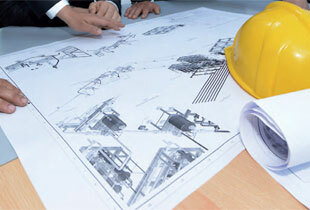 SOCOMENIN is able to ensure the storage of all our customers project-related goods. 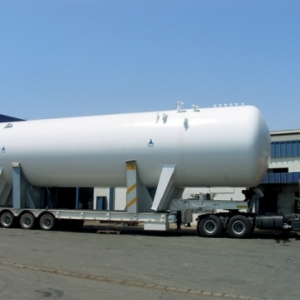 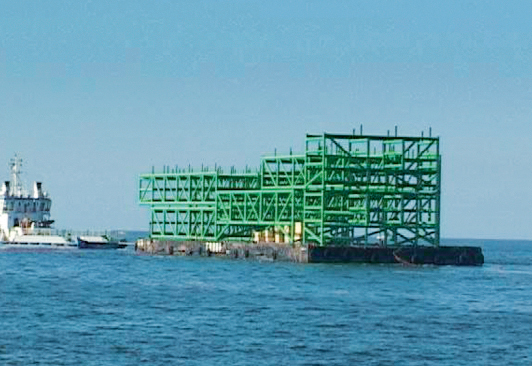 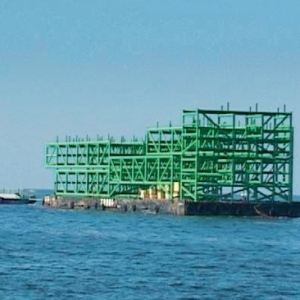 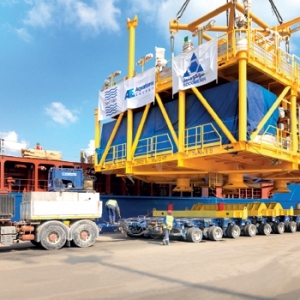 SOCOMENIN ensures the transportation of goods either by conventional and non conventional sea shipment or by land using special low-bed and standard trucks.